Mr. Fastfinger is an animated guitarist with depth and soul. 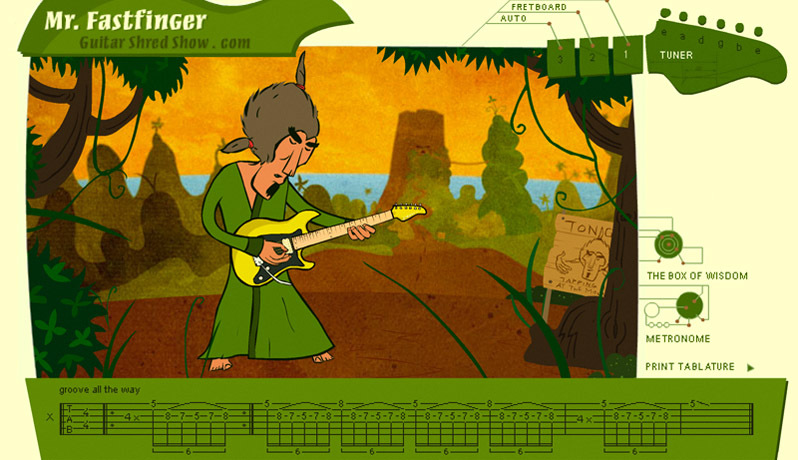 Creation of guitarist, composer and animator Mika Tyyskä. We are working on new Mr. Fastfinger album, we aim to get in out later 2018. In the meantime here's our latest single Secrets & Magic. A deluxe package of the single with tabs and guitar lessons available here.